A miracle in your card case! The most versatile magic prop ever. Turn your normal card case into a working magic gimmick! Mental ACAAN: A freely selected card is signed with the name of somebody the spectator knows. The card is placed inside the card box. The spectator gives a random number, and the cards are then dealt down to that number. When the card at that number is turned over, it's the spectator's signed card! 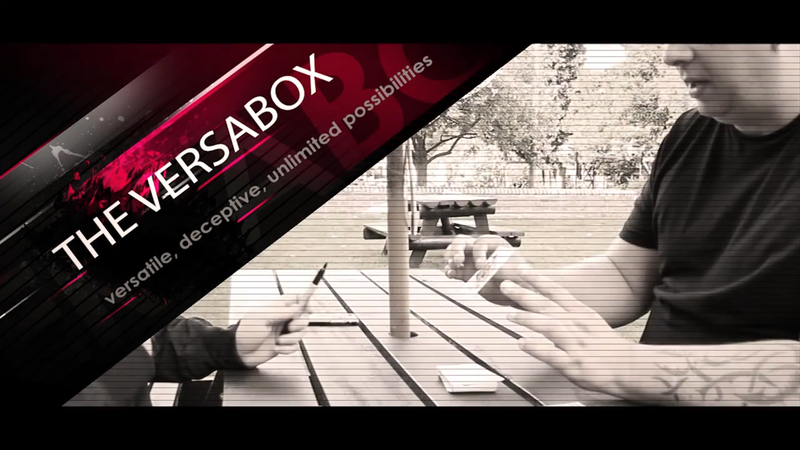 When the box is opened, another revelation occurs -- the pair/mate of the chosen card has now appeared in the card box! Serial Box: A serial number from a spectator's borrowed bill is successfully divined to the amazement of all watching. VB Coin Vanish: A signed coin is placed in a card box. The box is shaken, and the coin can clearly be heard rattling inside. Another shake, however, and the box falls silent. It's opened and the coin has vanished -- only for it to reappear in a place of the magician's choosing! Custom-made gimmick that fits into ANY card box! COMES WITH 3 POWERFUL EFFECTS. Get it today and perform it for a lifetime! This product was added to our catalog on Tuesday 16 January, 2018.